Home > Companies > Featured Brands > Feccia F.lli S.r.l. The Feccia F.lli S.r.l. was established by Mr. Feccia Pietro in Casalpusterlengo (Lodi) – Italy in 1963. He started with the harvest of fresh milk in agricultural firms and breeders nearby. Since 1964 the company has been registered a sole proprietorship and thanks to the upgrading and modernization of its fleet of drivers and vehicles, it has become the real road haulage activity for third parties (both national and international) for primary alimentary Italian and European firms. 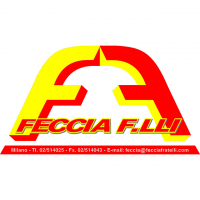 Since 1970, with the opening of the legal and commercial headquarters in Milan, FECCIA F.lli transforms its company name into a “Srl” and, after further investing in human resources and equipment, is definitively placed on the European market as a supplier qualified logistics services and transport of liquid food and agri-food, maintaining continuous working relationships with the most important international groups operating in the sector.